To speak with a Sales Representative, call 1-800-784-8477. The Ultimate Movie Pack is the perfect gift to enjoy a night out at the movies for two. 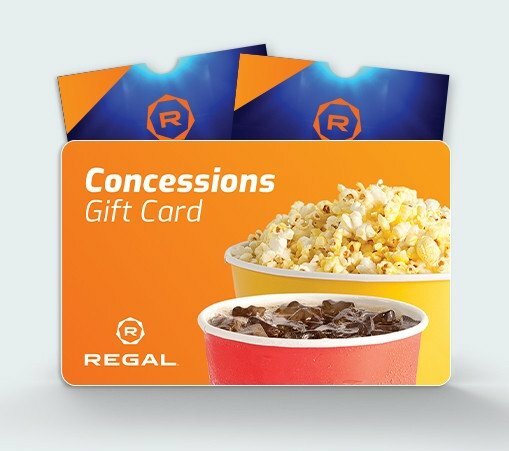 Each pack includes two Premiere tickets and a $10 concessions gift card. Upgrade & surcharge fees may apply. Refer to terms and conditions. Please limit your message to 220 characters. Additional characters will not be entered. Photos & certain artwork used on REGmovies are copyright protected and are the property of their respective owners. Studio logos & other trademarks used herein are the property of their respective owners.